A city plaza is like a painting. At the right time, when the sunlight shines on a building with it’s myriad of colors, there are few places more pleasant to spend time. Krakow’s recently renovated Szczepański Square (Polish:Plac Szczepański) wasn’t always one of the most stunning plazas in Poland. It’s two minute’s walk from the Main Market Square (you see the spires of Saint Mary’s Basilica rising over the townhouses to the east). 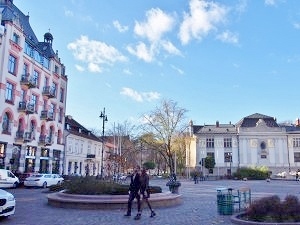 The square boasts many great cafes, restaurants, and nightlife options. Full of life, it’s the perfect place to have a coffee in the morning or to rent bikes for an afternoon ride, or to have a fun night out on the town. To reach Szczepański Square from the Main Market Square, simply walk one block west down Szczepańska Street from the northwest corner of the square. Szczepański Square only recently became the well-maintained, aesthetically pleasing public space it is today. For most of Krakow’s history, the area held a Jesuit church and cemetery. Neither the church nor the headstones survived the 19th century. In demolishing the church, more space can be of use to the public. It’s interesting to speculate that the bodies were not moved until renovations occurred in 2010. The plaza served as a fruit market, a car park, and a parade ground for Napoleon’s ill-fated march towards Russia. 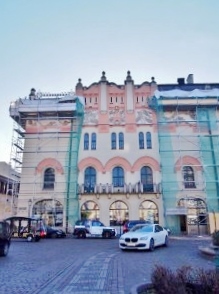 The façade of the building at the corner of Jagiellonska Street dates back to 1798, and the Old Theater located inside (Polish: Teatr Stary), is the oldest theater in Poland, to 1907. 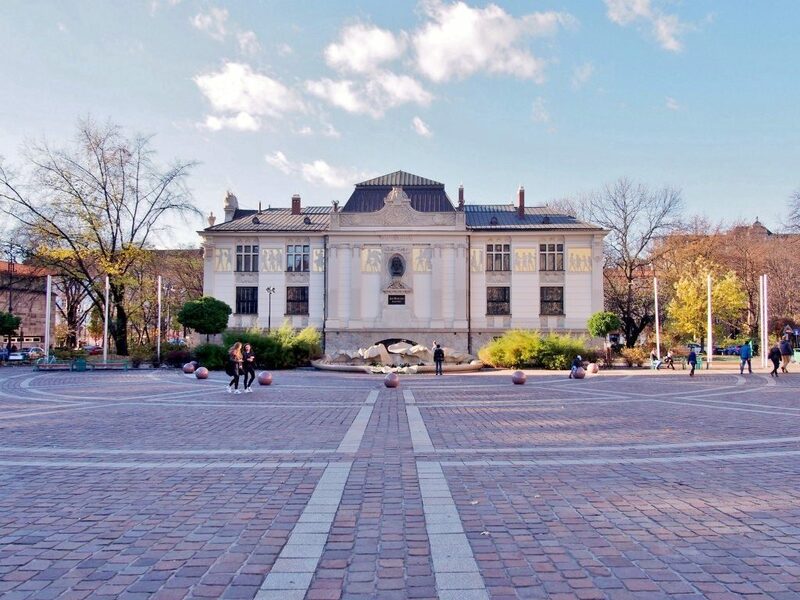 Szczepański Square is also a wonderful place for art lovers to visit. There are two art museums displaying exhibitions from Poland’s art scene, past and present. On the Plaza’s west side adjacent to the Planty is the Palace of Arts (Polish: Palac Sztuki) which was opened in 1854, while the Bunker of Arts (Polish: Bunkier Sztuki), one of Krakow’s largest museums of modern art, stands to the north. More info about the Szczepański Square can be found here.